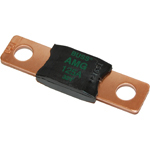 Mega fuses are an economical alternative to ANL fuses. They come in sizes up to 300 Amps and are used for DC circuits. 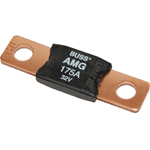 They don’t have a visible window like the ANL fuse, they are not ignition protected, and their interrupt capacity is less, but they are less expensive and so have their uses.